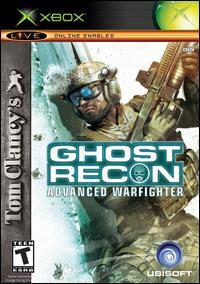 Sticking to what Red Storm does best, Ghost Recon is a team-based, action/FPS game with an emphasis on realism. You play the role of a member of an elite force called, "The Ghosts", sent out on various mission to keep peace throughout the world. Publisher Ubisoftâ€™s sophisticated squad-based series moves from military technologyâ€™s cutting edge to its bleeding edge in Tom Clancyâ€™s Ghost Recon: Advanced Warfighter. Set in the not-so-distant future of 2013, players lead a Special Forces un.. The Kazakh President has been assassinated by a Pakistani warlord attempting to take control of the country. Follow the Ghosts as they work in concert with U.N. forces to track him and his military across Kazakhstan. The Ghosts are the only chance to.. This first-ever campaign disk for the Xbox video game system from Microsoft will not require players to have a retail copy of the original game to enjoy a new Ghost campaign. Both new recruits and seasoned vets who earned their stripes playing the or..